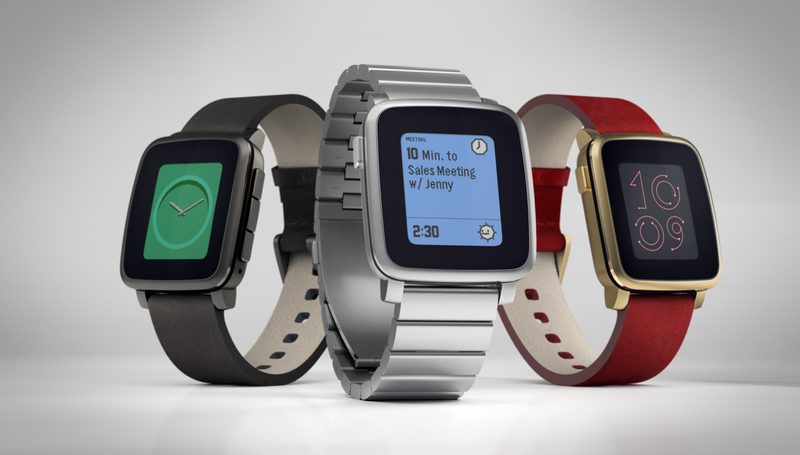 Last week Pebble announced the new Pebble Time that featured a colour e-ink display. This week, they're revealing another new watch, the Pebble Time Steel. 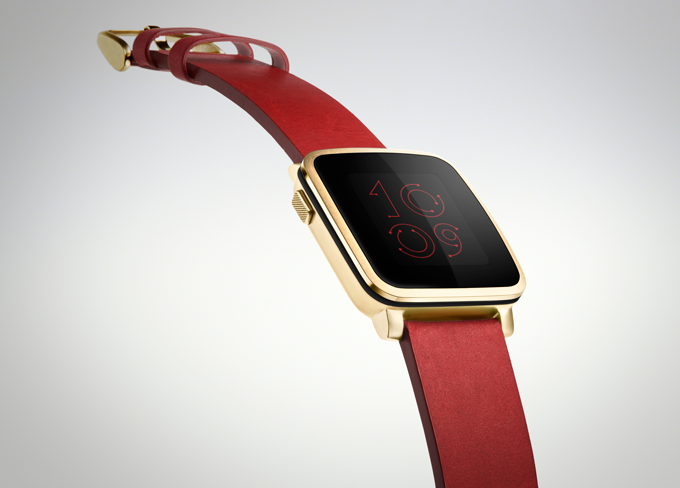 Like the first generation version of the Pebble, there will be both a standard version and a steel version. The Steel version has a full machined stainless steel body instead of just the bezel. On top of that, they have added an additional 3 days of battery life making it able to boast up to 10 days of use without charging. The Steel version comes in a silver, gold, and black finishes as well as being shipped with both a leather strap and a extra metal strap. The new Pebble Time Steel takes the same design cues from the standard Pebble Time and features the same display, sensors, mic, and water resistance. While the new design offers no additional sensors and features aside from the increased battery life, the Steel is focused towards a professional crowd. Along with the Pebble Time Steel, they have also announced "smartstraps" which allows third party developers to build add ons for both the Pebble Time and the Pebble Time Steel through watch strap based enhancements. The Pebble Time Steel will retail for $299 which is more than many Android Wear smartwatches but you can pick one up on Kickstarter for $250. Backers who already purchased a Pebble Time can upgrade to the Pebble Time Steel without losing their spot in line but will have to wait longer as the Steel is expected to ship in July instead of May.